by U.S. 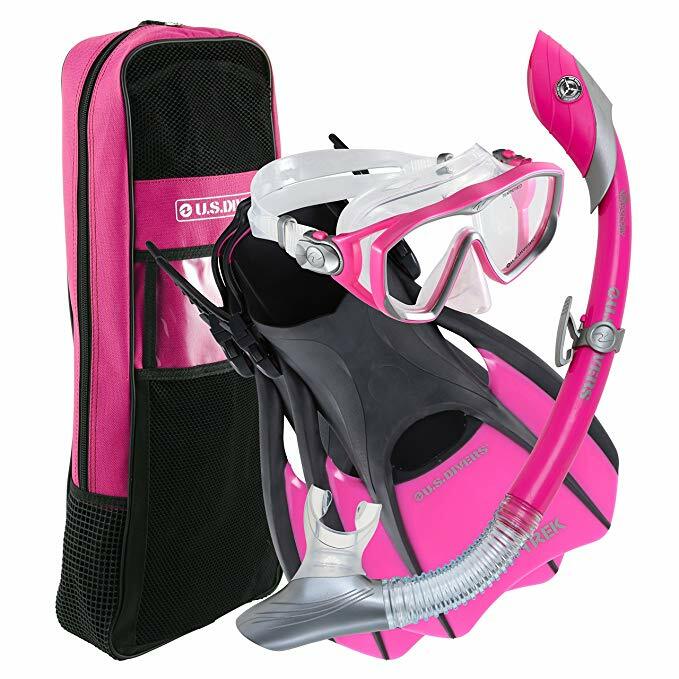 Divers the Diva Women Snorkeling Set includes a Mask, Fins, Dry Snorkel + Gear Bag. 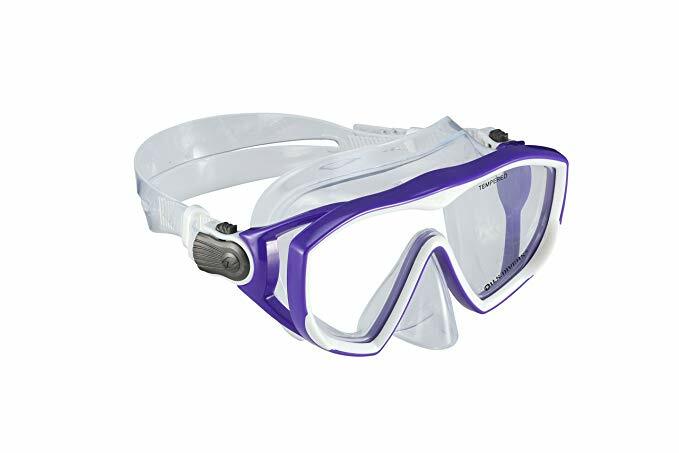 A dry snorkle allows you to dive down and not fill up the snorkle and reviews indicate this works! Much better than a full head covering snuba type. We carefully selected the best set. Coming in a range of colours this makes the ideal travel companion for a trip to Antigua! Colours are coordinated per order this is just showing some of the options click on the amazon link to see the full range. 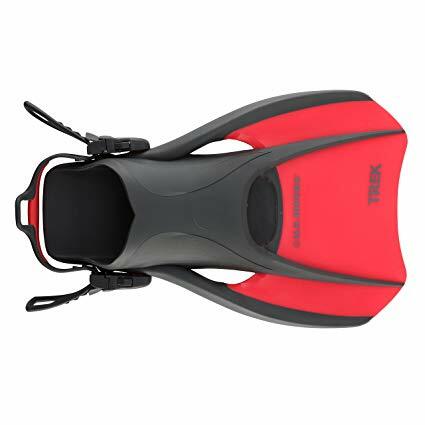 Short travel fins, great and you loose no power over longer fins. Dry snorkle much improved over a standard snorkle you need to clean. Great adjustable fog free mask. 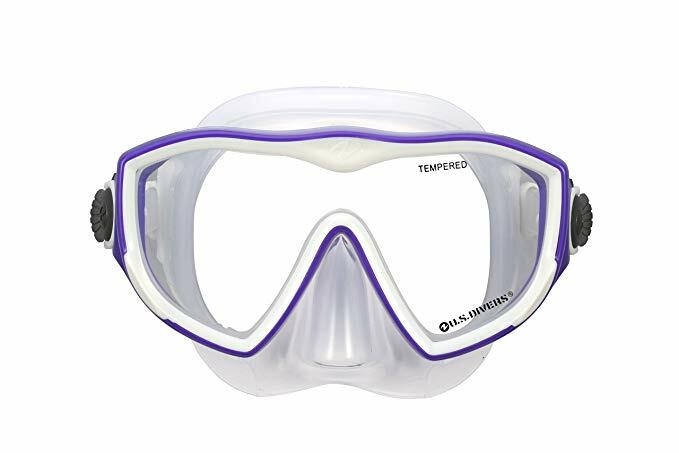 There are very few cons, very few over hundreds of positive reviews reported the snorkle attachment to mask breaking. This doesn't render the set useless however. The fins are not for scuba diving per se. They can be fine for calm easy dive sites but for serious current they will not be powerful enough. "I'm a scuba diver and bought this U.S.Divers Diva 1 Lx / Island Dry Lx/ Trek / Travel Bag for my wife who loves to snorkel. 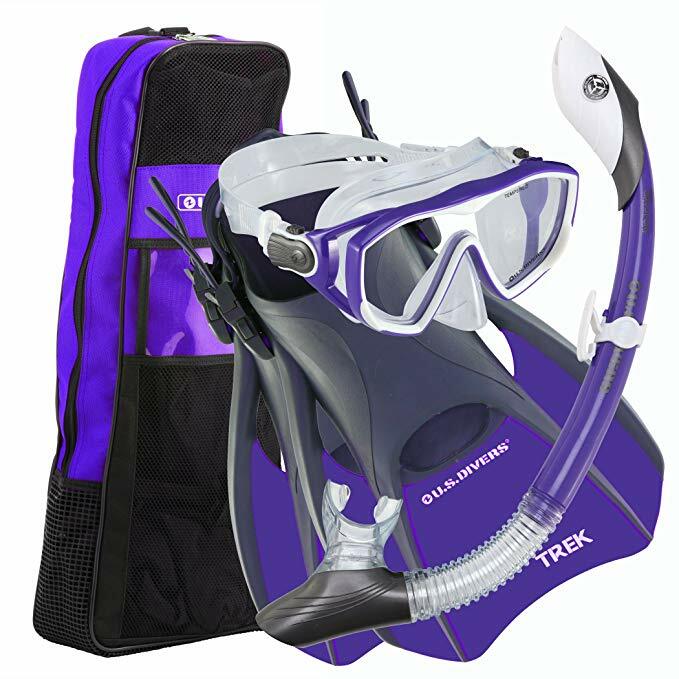 This is a great package for traveling, the fins are shorties but truly effective and comfortable; the mask seals great around the face, has easy adjustable straps and the lens offers a great view. Oh man the snorkel is worth its weight in gold! It's a dry snorkel which means you can dive down under to grab sea shells or whatever and come up without any water in the snorkel. The snorkel breaths super easy too and if you did manage to get water in the tube, there is purge valve - so with an easy puff of breath, you can clear the water quick & easily. I paid $10 extra for the bright hot pink ($79 total /w free shipping). I'd say it was worth it for a couple of reasons; 1) I could easily look out across the water and quickly spot the hot pink, 2) she looks great in the hot pink and also received lots of cool kudos. "I bought the diva in coral to use in Hawaii. I was so pleased with this set! The mask was a perfect fit, didn't leave marks on my face, comfortable under my nose and easy to adjust. The fins are very easy to adjust for shoe size, I wear a size US women's 9 and was very comfortable. I thought I would miss having a closed in heel but there is a bottom part under the heel which protects when walking on the lava beaches. The bag was great to have to carry it all in. I just carried my camera in it, as well. These trek fins were a perfect length, fitting in my SwissGear backpack for the flight. They also fit in a small size carry on, as well. I would definitely recommend this if you are a vacation snorkeler like me. 😁"